Around Christmas and New Year's Day, many people often enjoy their first citrus of the season. The winter is the prime time for the domestic citrus harvest, and oranges are no exception. Orange trees are harvested today nearly the same the way they have been in centuries past, usually just by hand-picking. Still, that has not stopped some from trying to find a way to improve the time-honored process. In the early to middle part of the 20th Century, there was some change in the way oranges were harvested, at least commercially. Workers used clippers to get the oranges off the tree. This method often left twigs and leaves attached to the fruit, which was problematic when the fruit went to large, automated industrial processors. In most cases, harvests have gone back to hand-picking. Most orange trees produce blooms during the late winter or early spring, not long after the previous harvest has taken place. The fruit takes approximately 7 to 10 months to mature and ripen, which means most fruit is ready beginning in late September and is too ripe by March or April. At this point, it may fall off the tree. 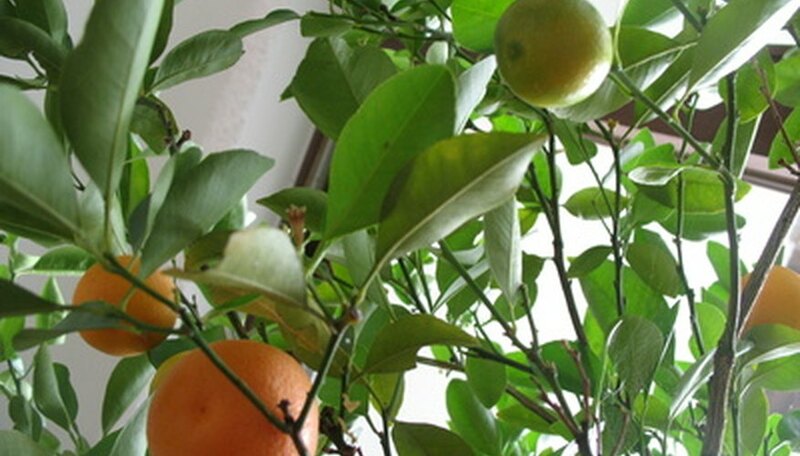 The actual harvest you can expect from your orange tree depends on the conditions and your type of tree. For example, you may expect 150 lbs. of oranges each year from a navel orange tree and 250 lbs. from a Valencia orange tree. The amount also depends on whether you have a normal-sized tree or dwarf variety. The type of orange may make a difference in harvest time as well. For example, navel oranges are usually harvested earlier in the season, but Valencias are generally ready later in the winter or early spring. Knowing what variety you have and when it is ready for harvesting is key to getting a great orange. If oranges are harvested too early, they will often be bitter and undesirable for human consumption. Unlike some fruits, oranges cannot ripen off the tree. As they ripen, they will change from a green to a yellow or orange. Also do not wait too long, or the flesh may become soft. Most oranges are meant to be eaten and juiced when the flesh is still firm. University of Nebraska: Which Fruits Will Continue to Ripen?